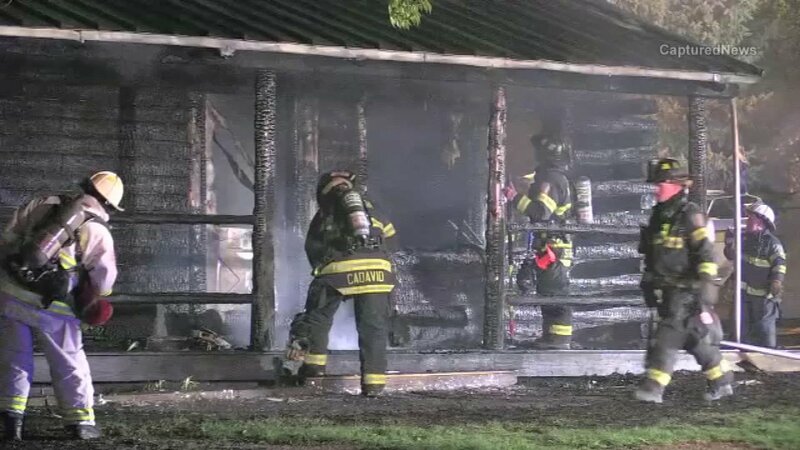 INGLESIDE, Ill. (WLS) -- Officials still do not know what caused a fire in Ingleside that caused heavy damage to a home. Firefighters rescued two dogs from the burning house on Lake Street in Ingleside. Officials said heavy flames at the front of the house quickly spread throughout the home.